So you’re wondering, what on earth does this have to do with maple oat scones? This post just seems like an excuse to reminisce and be happy and sad all at once — happy because I was there and it was incredible; sad because, without truly realizing it at the time, a hip injury was slowly eating away at her ability to compete and would take her out of the 2006 Nationals, and then, maybe even more heartbreakingly, out of the 2006 Olympic Games in Torino, Italy. But that week in Portland, 10 years ago, a freak ice storm wreaked havoc on the city’s streets and sidewalks and made getting to early morning practice sessions difficult and slow — and there was no way we were going to miss any of Michelle’s practice sessions. We had to leave our hotels earlier than usual, missing out on leisurely breakfasts and necessitating brief daily runs into one of the Starbucks along the way. I skipped the coffee and bought tea, as was my custom then, and discovered their maple oat scones. Warm, toasty, sweet, but not as sweet as many of their other confections, I was in love. I would eat a bite or two before we left the shop, while waiting for everyone else’s coffees, and then hide the rest of it in my purse to take into the Rose Garden Arena and eat from my seat near the ice. Granted, there wasn’t much time to eat. Most of it was spent mesmerized, as Michelle debuted Spartacus, her brilliant 2005 short program, there on the first morning, and analyzing her facial expressions and movements and the practices of her competitors. 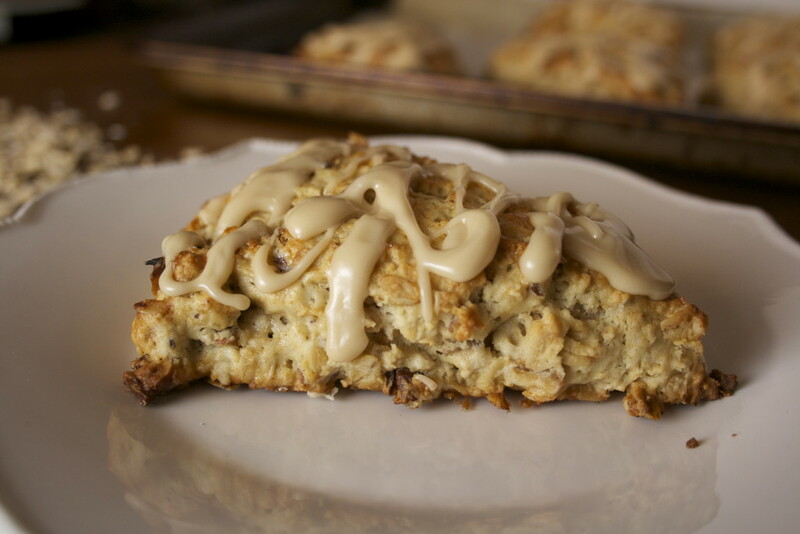 But with a cup of black tea with milk and honey, that scone hit the spot. When I got home the next week I was so addicted that I would convince my dad, whom I was working with at the time, that we needed fancy coffee and tea at least once a week and drive to Starbucks to replicate the meal, usually as an afternoon treat. And then, maybe a year or two later, they discontinued the scones. At one point I made a copycat recipe I found on the internet using “maple flavoring,” but it wasn’t the same. Then I made these, from America’s Test Kitchen Family Baking Book, and was transported back immediately. They may even be better than the original. Tender with pure maple syrup and butter, studded with toasted pecans and oats, they evoke those feelings of joy and elation every time I make them, which isn’t often enough. And when I think back on that week in Portland, I actually don’t think of Bolero. I think of Spartacus — perhaps one of the greatest short programs of all time. I think of Michelle’s amazing career and her grace in victory and defeat, her drive, her warmth and her smile when she would recognize me and say hello. I think of my own life as a figure skater, the feeling of flying, the beauty of gliding on an edge. 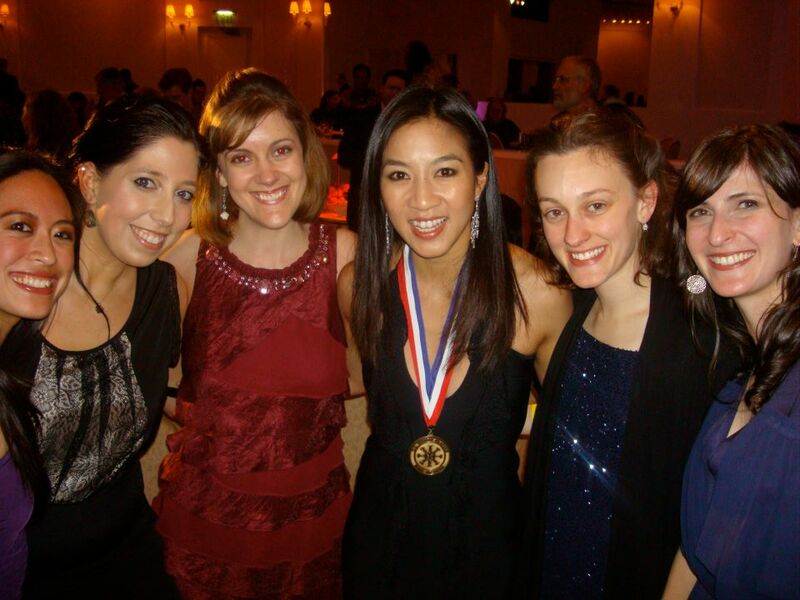 I think of my friends, the ones I made starting back at my first Nationals in 2002, my first World Championships in 2003, the ones I would trace Michelle’s footsteps with in Torino in 2006, the ones whose weddings and baby showers and random phone calls are still the highlights of my life. 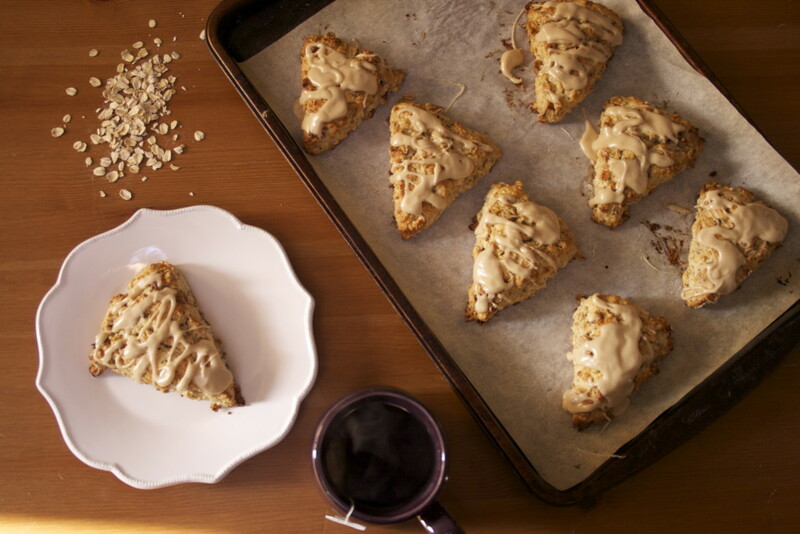 These maple oat scones aren’t just perfect for a cold winter day. They’re a perfect vehicle for joy. These scones are best eaten day-of but can be stored in a zippered bag at room temperature for up to 3 days. To bring them back to life, place them on a baking sheet and warm them in a 300-degree oven (or toaster oven, as I am known to do) for about 10 minutes. The glaze may get a bit soft but they will still be delicious. They truly are lovely with a cup of English Breakfast or Earl Grey tea. I like mine with a touch of milk and honey. Preheat oven to 375 degrees. 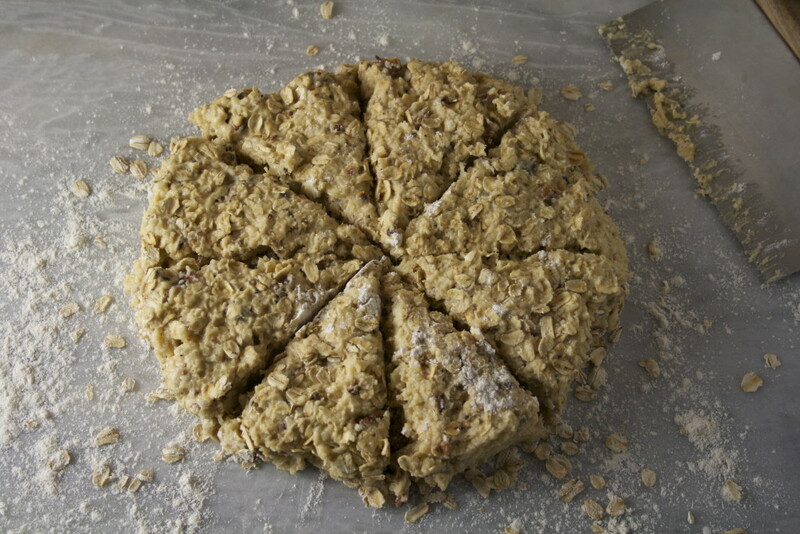 Spread the oats and pecans in an even layer on a rimmed baking sheet, and toast in the oven until lightly browned, about 8 minutes, shaking the pan occasionally. 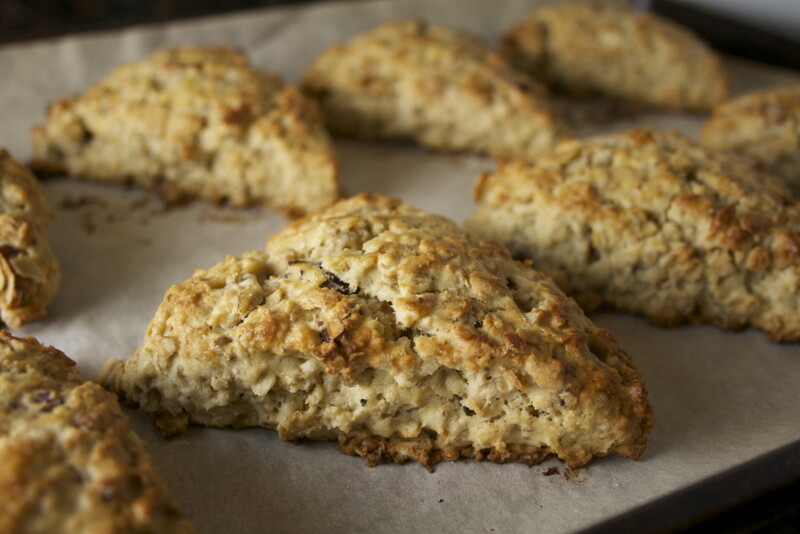 Let cool on the baking sheet on a wire rack, and measure out 2 tablespoons of oats to reserve for dusting the tops and bottoms of the scones. 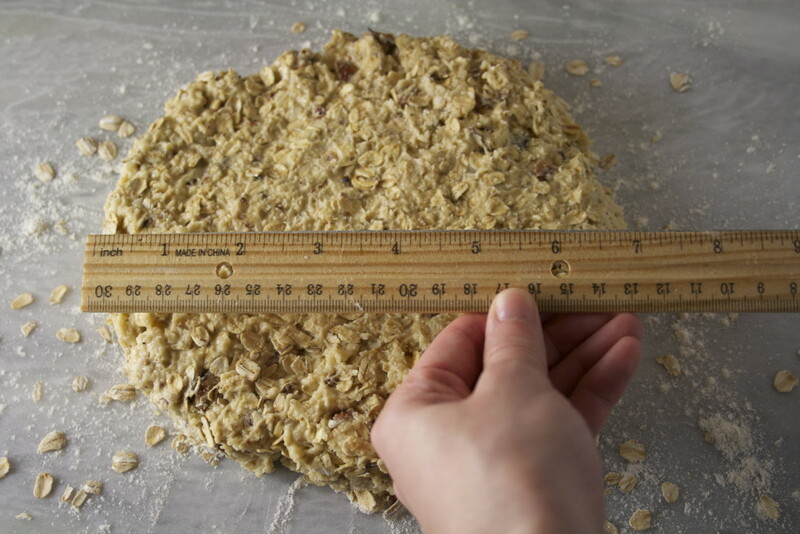 Increase the oven temperature to 450 degrees and line a baking sheet with parchment. 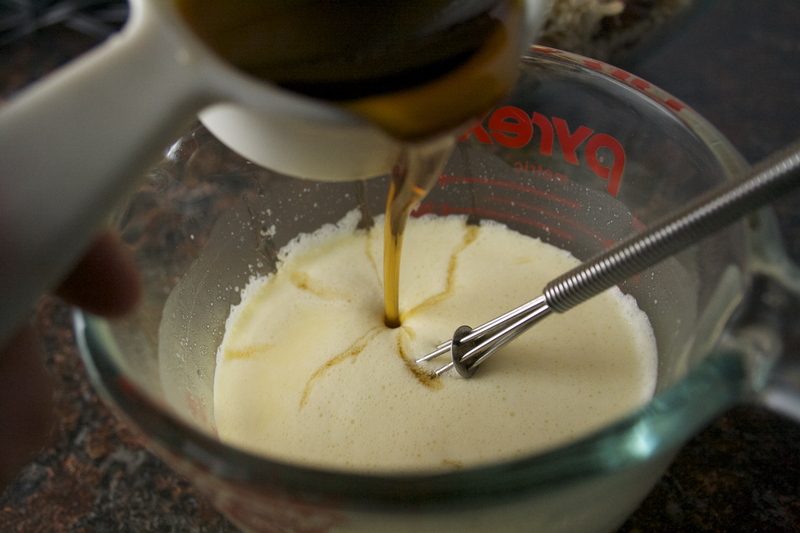 Whisk the milk, cream, egg, and ¼ cup of the maple syrup together in a small bowl or larger liquid measuring cup. Measure out 1 tablespoon the mixture and reserve for a pre-baked glaze. In a food processor, pulse the flour, baking powder, and salt to combine, about 3 pulses. Scatter the chilled butter evenly over the top and continue to pulse until the mixture resembles coarse cornmeal, 12 to 14 pulses. Transfer the mixture to a medium bowl and stir in the oats and pecans. With a rubber spatula, fold in the milk mixture until the dough begins to form, about 30 seconds. It will be rather sticky. 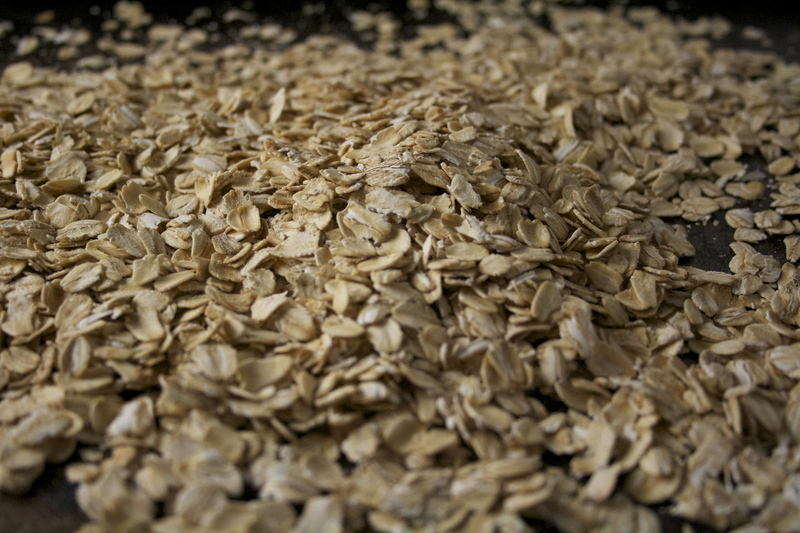 Dust the counter with half the reserved oats. Turn the dough and any floury bits out onto the counter and dust the top with the remaining oats. Pat the dough into a 7-inch circle, about 1 inch thick. Using a sharp knife or bench scraper, cut the dough into 8 equal-sized wedges. Places the wedges about 2 inches apart on the prepared baking sheet and brush with the reserved milk mixture. Bake until the top of the scones are golden, about 12 to 15 minutes, rotating the pan halfway through. Transfer to a wire rack and let cool for at least 10 minutes. Prepare the glaze by whisking confectioners sugar with the 3 remaining tablespoons of maple syrup in a small bowl. 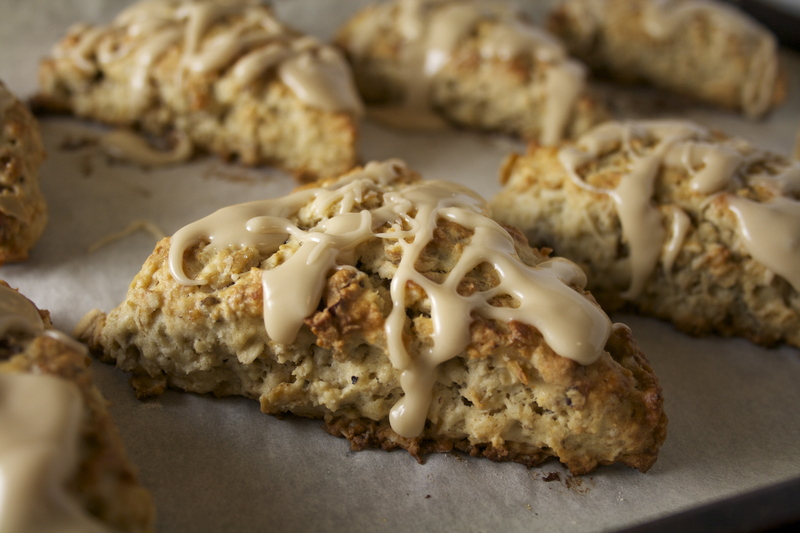 Drizzle the glaze over the scones and let set for 5 to 10 minutes before serving.